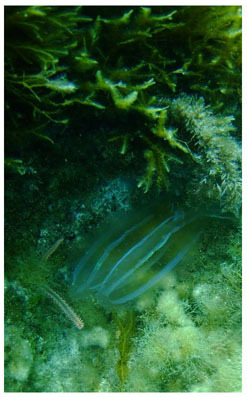 The Spot the Jellyfish team based at the IOI-MOC of the University of Malta, supported by the Malta Tourism Authority, has launched a jellyfish photography competition which will be run in conjunction with the Din l-Art Helwa Annual Marine Photography competition. Two keen Maltese kayakers, namely Albert Gambina and Dorian Vassallo will be participating in a paddling trip in aid of the Puttinu Cares, the Children’s Cancer Support Group. The IOI-KIDS progrCamme is this summer engaging children and youngsters, their teachers and parents to help the marine environment by recording the presence and location of various jellyfish species in Maltese coastal waters.